This entry was posted in environment, food, local food, organic foods, water and tagged Bethesda Farmers Market, chemical farming, chesapeake bay, farmers markets. Bookmark the permalink. 13 Responses to Support Your Local Dead Zone? If farmers who use chemicals were required to pay for the environmental damage they cause, we’d soon see an end to chemical farming. I would love to see what Monsanto’s bill would be. I don’t think you can assume that all farmers who are not certified organic are dumping chemicals. Many small farmers find the cost of getting certified prohibitive. Others choose to use integrated pest management as a practical, logical way to grow fruits and vegetables sustainably. The world is not black and white, and there are not 2 simple sides to this issue. Hi kgmom. I think it is actually black and white in that, if you’re using harmful chemicals to farm, you are part of the problem (hurting both human health and the environment). It costs a small farmer just a few hundred dollars to become certified organic. That doesn’t seem “prohibitive” as you (and some farmers) suggest. IPM is a vague term, sometimes used as a gimmick. I’ve heard that term tossed around at various farmers’ markets for years. I suppose every small farmer can claim that they “manage” pests only as needed, but “as needed” is rather subjective. If a farmer is truly using IPM methods practically and logically, then that’s better than typical conventional farming- but there is nothing better than organic farming. Perhaps a consumer fund needs to be created and managed for small farm start-ups who don’t have the extra $$ to apply for being certified as organic. I realize a couple hundred is not that much, but establishing a fund (nationally) makes a statement in itself, and for a starving farmer a couple hundred bucks could be his weekly gas $$ to and from farmers markets. I decided to look up the Organic program costs after reading the comments. 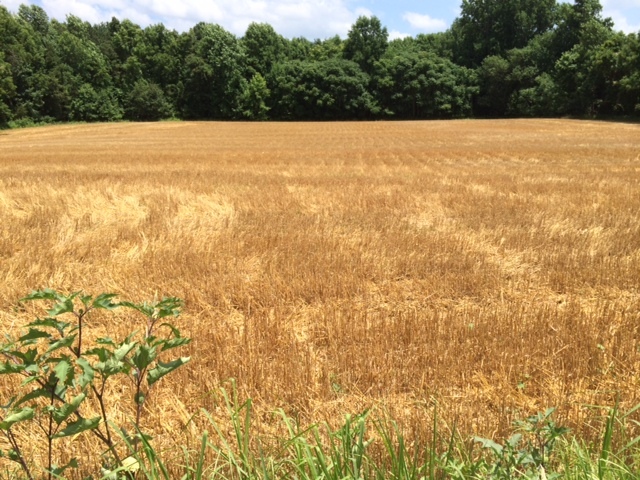 The USDA offers financial support to farms in transition. And it will reimburse some of the final costs for certification (up to 75%). I would rather buy from my local farmer, even if they don’t pursue Organic labeling…I know them, I visit with them each week, I can ask questions (eye to eye)..there is more trust and transparency. I do not trust the Organic Label, which has been corrupted by corporate food producers, just as all other labeling rules have. I have been a fan of Moms for some time, but lately I find your posts to come across as: “I know best, you’re just an uninformed consumer, let me educate you” to be arrogant and condescending. If you really care about educating the public, you need to remain open (even when it can be frustrating), and you need to find a way to share the information without the condescending. I’ve asked farmers at roadside stands if they are organic. Some say no, but that they do not spray and that is usually good enough for me. But,some go into an animated description of how expensive it is to become certified. They imply or state outright that it would be “thousands of dollars” for them to become certified. ??? I can’t know all of these farmers personally and so I don’t know if they are telling the truth. I have lately wondered if they were just making it up because I have also heard that it only costs a few hundred. ??? I will pay more for organic. It’s the main reason I stop at roadside stands. If I find out it’s all covered with Sevin or the “big farm” equivalent, I don’t come back. They are likely very nice folk even if they are conventional, but nice or not, I don’t want to eat poisons and support practices that are harming the environment. There is a farmers market one block from where I just moved. It is small and I asked about four of maybe seven farmers if they use chemicals. Three of the four I asked told me that they do but qualified it with explanations of they use them minimally, or they only use them when the plants are getting started, etc. I found those answers confusing to know if I wanted to buy from them. The ones I did not ask were not inviting and friendly toward me. I ended up concluding that I don’t want to buy produce that has has been purposely exposed to chemicals. Therefore, I will continue to buy from MOM’s. I realize that the Organic labels are not foolproof, but short of growing my own, it’s the best I can do. Amen, Scott. I hope your blogs get a wide readership, because they are so often right on the money. Despite our ongoing disagreement on the contribution of supporting meat and dairy farming to our ongoing climate catastrophe, you are a great addition to the natural foods landscape. And you can clearly see the hints of green mixed in with the yellow in the organic farm – that’s not there in the picture Scott posted. There is a very clear difference. Anyone who wants to eat pesticides is free to do so. I’ll keep buying at MOMs. I do like supporting local farmers, but not if they are using chemical crap to grow their products. There could be valid reasons a farm might not be certified organic, but I want to know what they are and precisely what they do use to grow their food before I’m interested in buying from them. The only complicating factor from an environmental perspective is that there is a tremendous amount of pollution that goes into shipping food. The less distance it is shipped (the more local) the less fuels are burned/pollution generated and the further it travels the more pollution it produces. There is a very real offsetting effect there when buying local. Some of the environmental savings of buying organic are eaten up by the shipping process when it has to travel across continents. The flip side of that is that some of the environmental cost of non-organic is offset by a less burdensome shipping process when it only has to travel a short distance. I have seen plenty of organic farms and they’ve all had weeds. 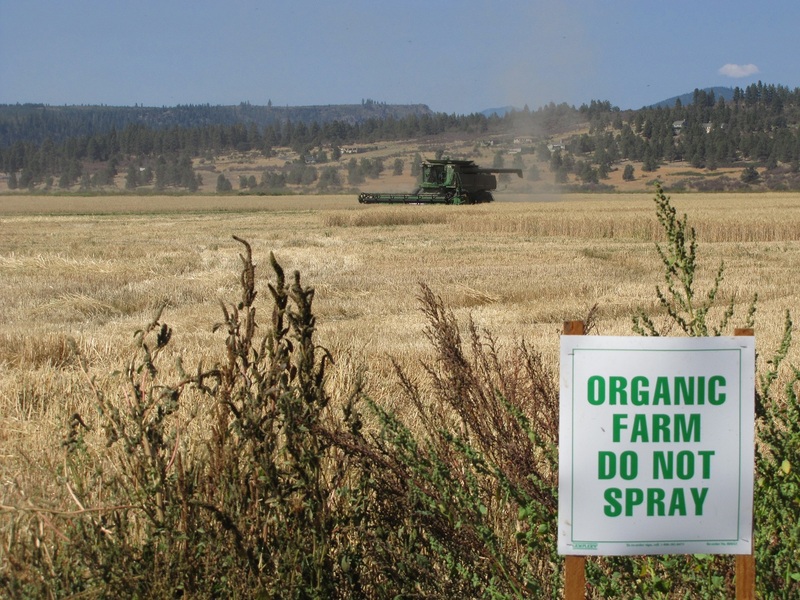 Regardless, clearly the point I’m making is not that organic farms are weed-free like conventional farms, but rather that conventional farms dump tons of toxic chemicals on the land.